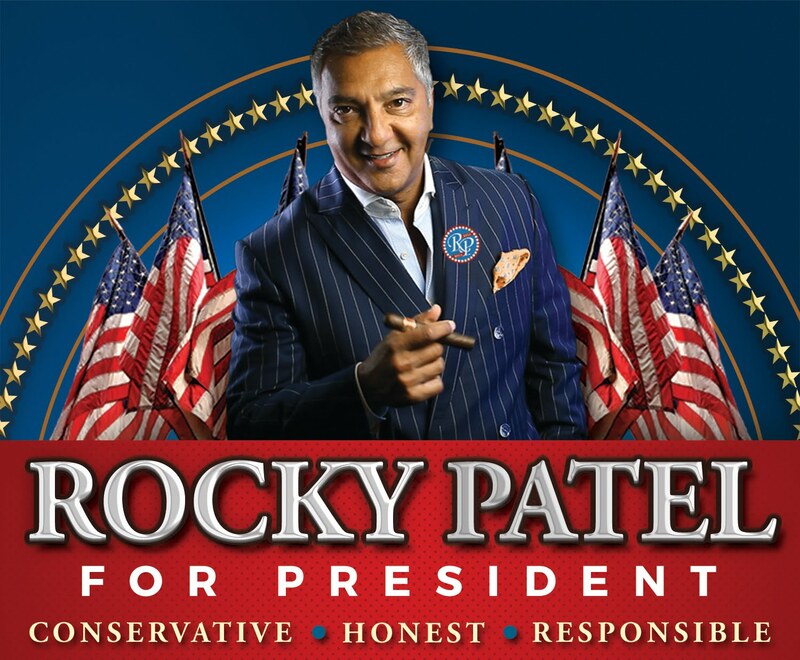 NAPLES, FL – April 1, 2016 – "I'm very concerned about our country's future," says Rakesh "Rocky" Patel, CEO of Rocky Patel Cigars. 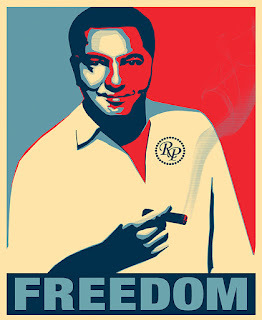 That concern has encouraged the premium cigar maker to make a write-in bid for President of the United States as an Independent candidate. He is no stranger to the machinations of Washington politics. 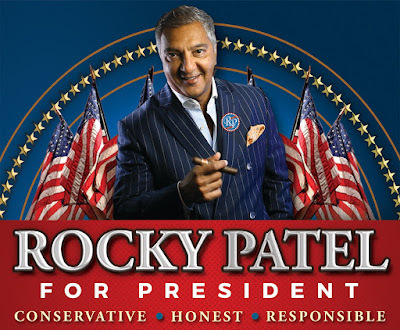 In concert with Cigar Rights of America (CRA), Rocky has been fighting for the rights of the cigar manufacturers, retailers, and cigar smokers who have been subjected to massive tobacco tax increases and innumerable tobacco bans nationwide. This has led to the first two pillars of his platform: a lower flat tax for goods and services, and a “Ban the Bans” initiative that he believes will protect local, small businesses from growing losses due to government over-regulation.